This online application provides comprehensive cultural and business information designed to increase your competitive advantage in today's global business environment. 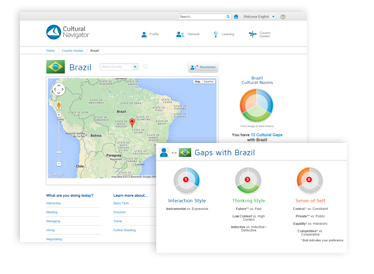 The Cultural Navigator offers a unique learning experience that can be personalized based on your business interests and customized to your organization's initiatives. 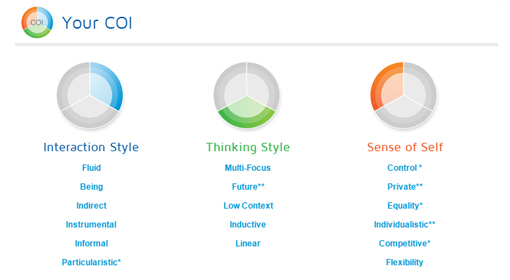 Our cultural assessment, the Cultural Orientations Indicator, is organized into three dimensions to help you identify your cultural preferences across your Interaction Style, Thinking Style, and Sense of Self. The COI is psychometrically validated for reliable results. The assessment and report are available in 12 languages: Chinese (Mandarin), English, French, German, Italian, Japanese, Korean, Polish, Portuguese (Brazilian), Spanish (Americano Latino), Spanish (Espanol), and Turkish. Complete the three dimensions of the COI in the recommended sequence or take a more flexible approach, depending on your personal learning style. Gain immediate access to your results, including an explanatory audio debrief, common cultural challenges and recommendations for addressing them, and example scenarios based on real-world workplace. 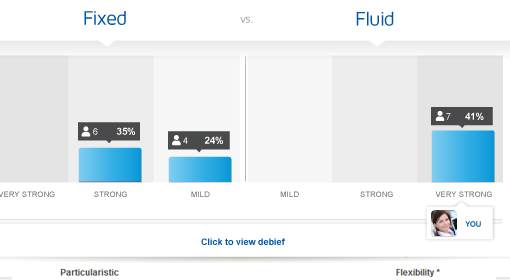 Compare your results against your organization, your function, and your teams to recognize potential cultural challenges. 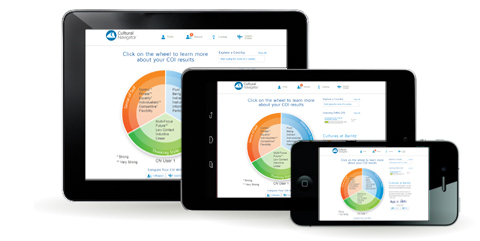 Bring your results to a facilitated program as a hard copy or on your smartphone or tablet. 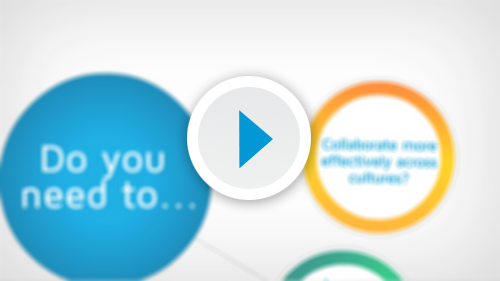 The Cultural Navigator offers a unique learning exerience that can be customized to your organization's employees. Access exclusive learning content and features designed to fit your organization's objectives. Incorporate specific messages that can reach all of your organization's employees on the Cultural Navigator. 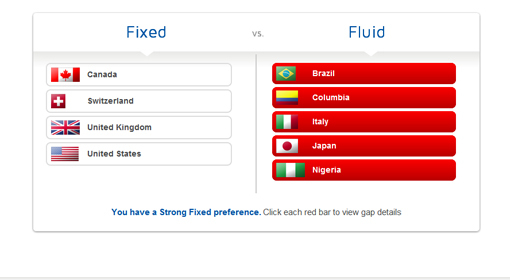 Compare cultural preferences with your colleagues and teams to identify potential cultural challenges. 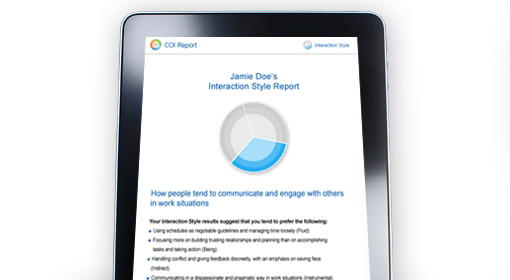 Once your colleagues have taken the COI, you also can discover functional and organizational norms and compare your personal results with them. Select the topics that interest you. Based on your selections, the Cultural Navigator guides you to recommendations for what is most relevant to you. Access what you need faster and more easily. Follow step-by-step Learning Paths to complete recommended learning objectives. Each step contains associated learning activities. See time estimates for each step, track your progress, and resume a Learning Path from the last step completed. Organizations also may assign Learning Paths to users as part of a specific learning initiative. Find and connect with colleagues no matter where they are located. Search for people you know virtually or in person or for people who you plan to meet. If you canâ€™t find your colleagues, invite them to join you on the Cultural Navigator. Create a team based on function, location, or project. 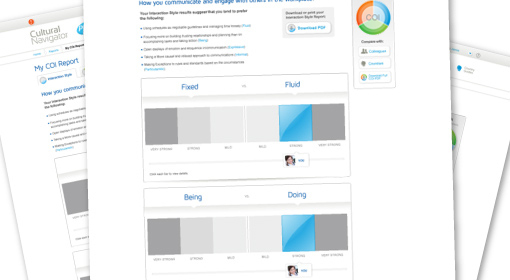 Teams on the Cultural Navigator have access to special comparison tools designed to identify team norms and possible challenges. Communities are unique groups for users who share a common interest, such as relocation, function, or learning topic. Join a community to receive updates and access recommended activities. Subject Matter Experts on the Cultural Navigator regularly post articles and other content related to their respective fields. Follow these experts to keep up-to-date on the latest news. Access an extensive database of country-specific culture, inclusion, and management information. Based on original research by Subject Matter Experts for the Cultural Navigator, our Country Guides cover country norms as well as current business practices. Built on the latest technologies, the Cultural Navigator offers a modern, touch-friendly interface that is optimized for smartphones and tablets. Contact us for more information on how the Cultural Navigator can help you and your organization work more effectively across cultures. © 2019 TMC | A Berlitz Company. All rights reserved.